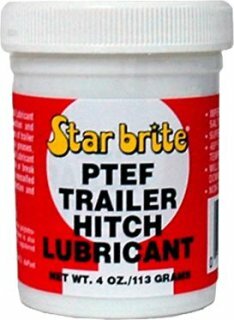 Star Brite’s PTEF Trailer Hitch Lube offers the best possible protection for RV, truck or ATV trailer hitches. This quality Trailer Hitch Lube is impervious to fresh or saltwater and protects in temperatures ranging from -65° to 650°F. Super adhesion - will not wash off or break down. Non-toxic and non-staining. 4 oz.